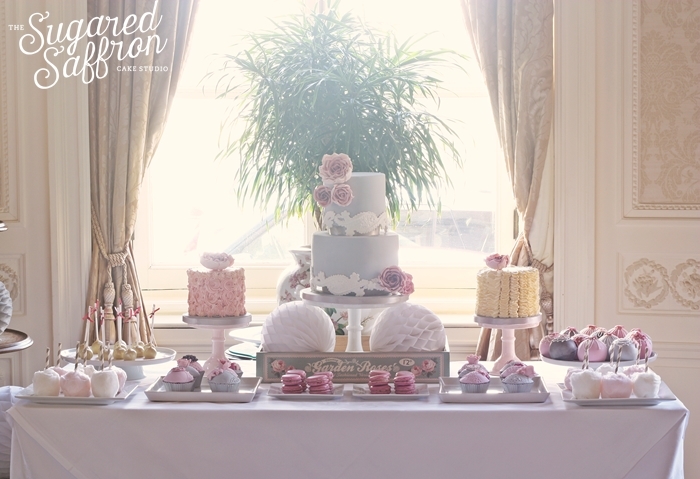 This romantic and glamarous dessert table was created for Luann and Chris chic wedding at the luxury venue, The Luton Hoo Hotel. 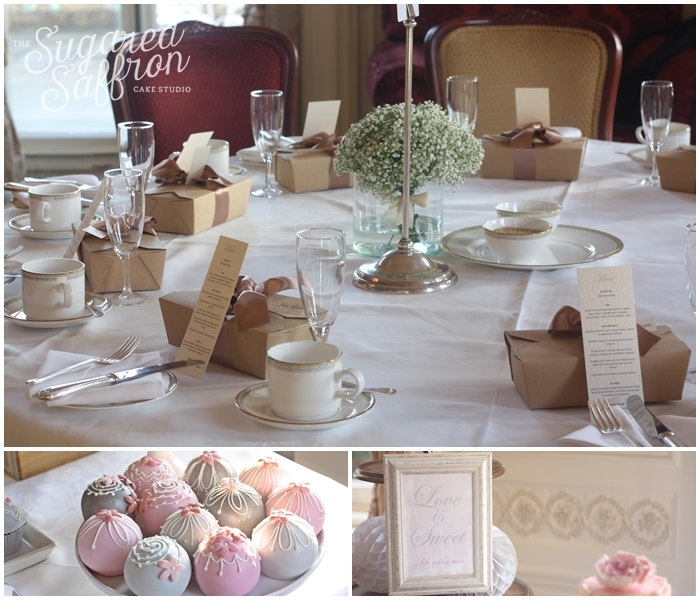 They wanted grey and pink, with lots of romance and sweet details. They loved the idea of mixing smaller buttercream cakes with a tiered cake and wanted their guests to have a range of tempting little treats. 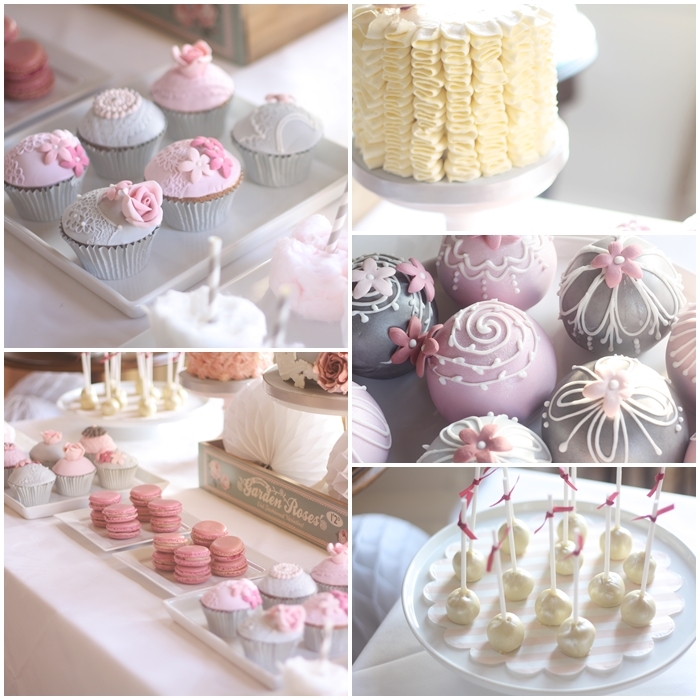 They enjoyed macarons, cupcakes, sphere cakes, cake pops and candy floss in Vanilla bean, chocolate, salted caramel and rose and raspberry. Their wedding was so stunning it was featured on Love My Dress and Wedding Cakes magazine. Take a look at the full feature with photos shot by Binky Nixon here. Just wanted to say a big thank you for today. Everyone was raving about your cakes! They were beautiful. Thank you once again I will definitely recommend you to anyone who needs wedding cake! Asma from The Sugared Saffron Cake Company did brilliantly with every single dessert on that table which looked and tasted fabulous!